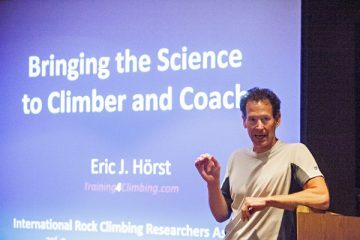 Eric given a keynote address at the International Rock Climbing Researchers Association (IRCRA) 2016 biennial symposium. I’m a big believer in the importance of quality coaching, especially when it comes to learning—and training for—a sport as complex as climbing. While basic climbing movement is indeed intuitive, advanced climbing skills and techniques are not. Training appropriately, given your unique strengths/weaknesses, time available, past sports and injury history, age and genetics, is even more complex. Thus, when it comes to effective training for climbing, “getting it right” is an unrealized goal for many climbers. Fortunately there are a handful of excellent climbing coaches here in the USA, as well as in Europe, Asia, and Australia. If you are serious about climbing your best (and hopefully remaining uninjured), I strongly encourage you to engagea veteran coach with a proven track-record of shaping strong, healthy, and happy climbers. You may be wondering what qualities and background make for a top-notch coach? Obviously, vast climbing experience (a decade or more) and having climbed at a relatively high grade is important. 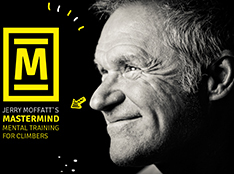 Equally important, however, are analytical skills, being well-versed in coaching techniques (technical, tactical, and mental), and a strong interest in reading and applying research (both climbing and non-climbing). Experience at coaching climbers of varying age and ability is certainly a plus. If you can find a coach possessing all of the above qualities, then don’t hesitate to hire this person for an assessment and exercise prescription. 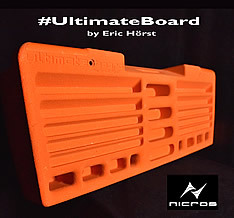 It will do your climbing good! Coach Hörst giving a training-for-climbing clinic at Vertical Endeavors, Glendale Heights, IL. A climber since 1977, Eric has been coaching intermittently the since the late 1980s…over the years having coached hundreds of individuals, both amateur and pro, to climb harder and better enjoy their vertical adventures. 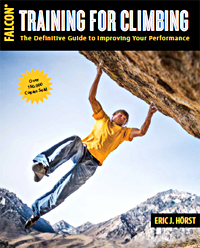 As exemplified by this Web site, Eric has written extensively on the subject of training for climbing, including eight books (with many foreign translations), more than 100 magazine articles, and one research paper on climbing performance (co-authored with Dr. Fleming). 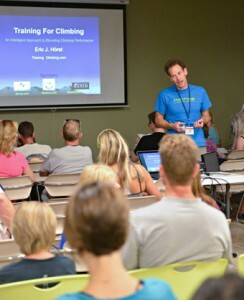 In aggregate, Eric’s three decades of climbing and coaching experience makes him one of the most knowledgeable coaches on the planet. Eric is available for a limited number of speaking engagements, and he accepts just a small number of new training clients each season. 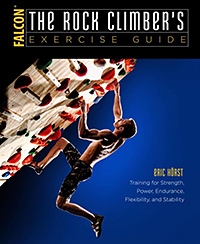 Eric is currently not bringing on any new clients, but you can gain deep insight into his training philosophy, favorite exercises, and training programs in the just-released 3rd edition of Training For Climbing. 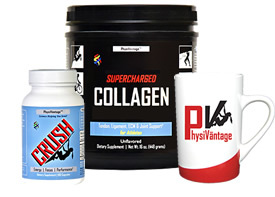 To schedule a one-hour phone consultation ($120) please contact Eric here.